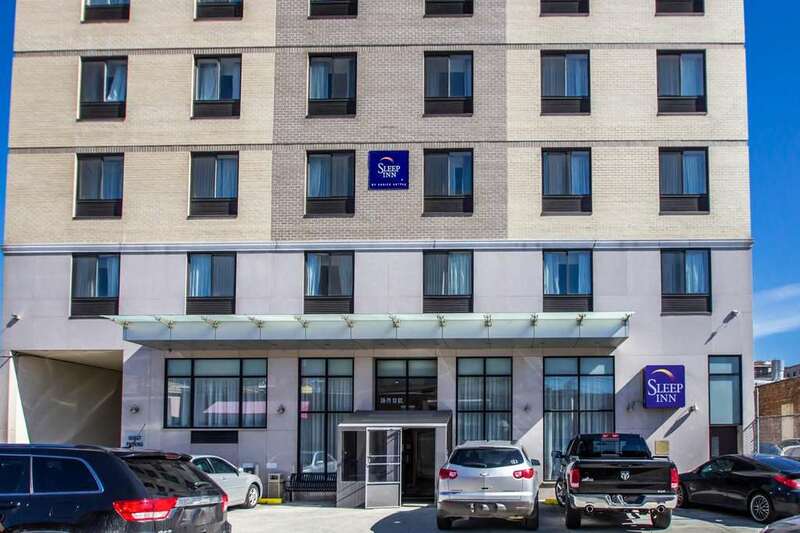 The Sleep Inn hotel in Long Island City, NY will give you a simply stylish experience. We are close to activities and sites like Manhattan, Newark Airport, Citi Field and the Metropolitan Museum of Art. Enjoy free breakfast, free WiFi, an exercise room and a free weekday newspaper. Your guest room offers warm, modern designs, and includes flat-screen TVs, coffee makers, hair dryers, irons and ironing boards. Upper-tier suites have even more amenities, such as views of the New York City Skyline. We also offer membership to the Choice Privileges Program, which gives members the opportunity to earn valuable rewards points toward airline miles, gift cards and free hotel room nights.